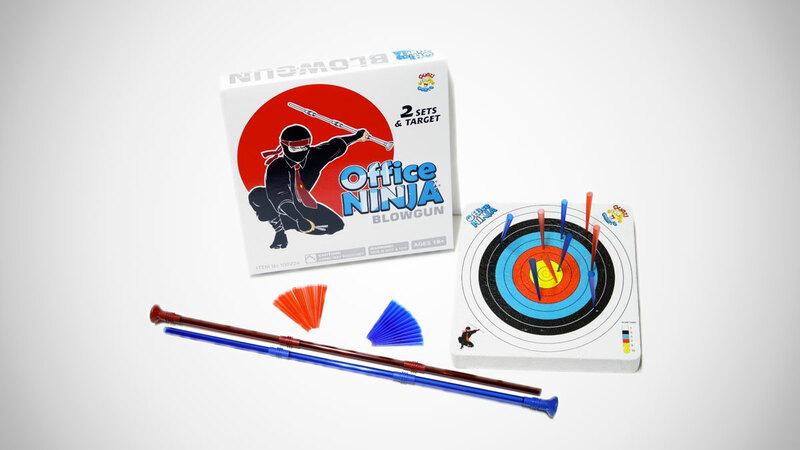 Oh yeah, the Office Ninja Blowgun is all fun and games and epic desktop warfare until Wet Blanket Brad gets hit in his pinky finger and HR rolls in with their disciplinary offensives. This indoor blowgun kit comes with a pair of blowguns and 24 soft projectiles designed to turn you into the ultimate feudal Japanese mercenary of lung-powered dart shooting. And, according to reviewers, it works reeeeal good. Aspiring office ninjas will also receive a Styrofoam target for use in official lunchtime competitions, or in honing their skills before the real challenge of sinking darts in Brad's chamomile tea while he's in the john begins. 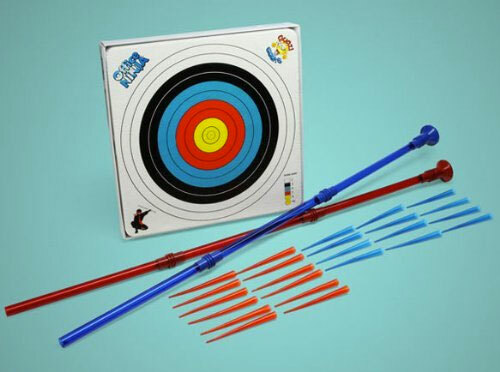 The Office Ninja Blowgun would also make a sweet addition to company happy hours and celebrations, and I'm sure some of the more clever managers out there could find a way to incorporate the desk toy into team building activities no one groans about having to attend. Office Ninja Blowguns aren't recommended for anyone under 18, and with darts made to fly with speed and precision, the kit's makers say you should blow from a safe shooting distance of 11'.